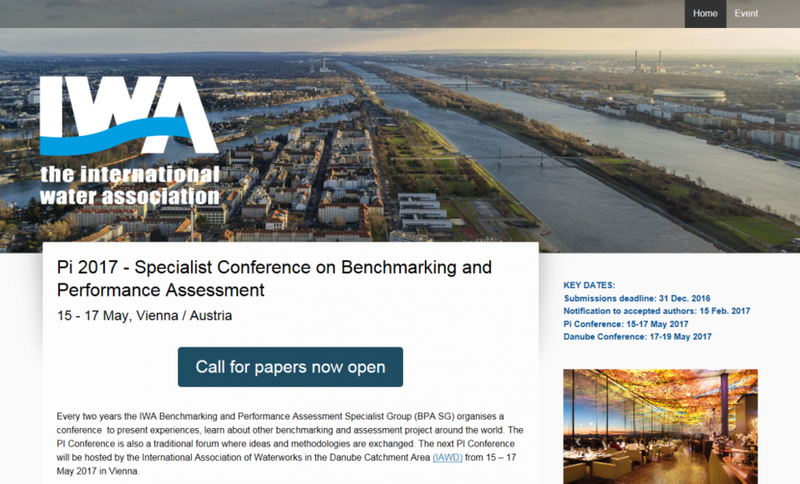 Dr Andrew Norton attended the bi-annual International Water Association (IWA) Benchmarking and Performance Assessment Specialist Group (BPA SG) conference in Vienna. It was attended by over 100 international delegates, all with a specialist interest in the area. The wide ranging presentations covered; using benchmarks for industry regulation, national and cross border schemes level schemes and the assessment of water Loss & NRW (Non-Revenue Water) as well as some focus on energy efficiency especially in waste water treatment plants. The conference was very helpful in validating ideas for research on the DU project, such as exploring rural/urban indicators and clustering data, and looking to other sectors for robust data quality assessment methods. It was also great opportunity to network with a very specific group of experts and observe the state of art in this field, as well as get up to speed with the embedded terms and methods applied.